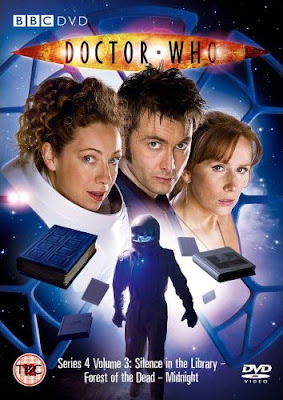 Science Fiction Geeks - Scifi News: What Are Your Favorite Doctor Who Episodes? As Crave points out both of these were written by Stephen Moffat who will be taking the helm as the lead writer on Doctor Who which gives me great hopes for the next season. For recent stuff, I have to say Blink and Midnight. I haven't seen enough of the earlier ones, but I did like Tomb of the Cybermen. My absolute favorite is Midnight, by far. But a close second is Blink. These to seem to be on everyone's "favorites list", but most others seem to put Blink first. I just can't do that; the acting and writing of Midnight was far too fantastic to be second-place.